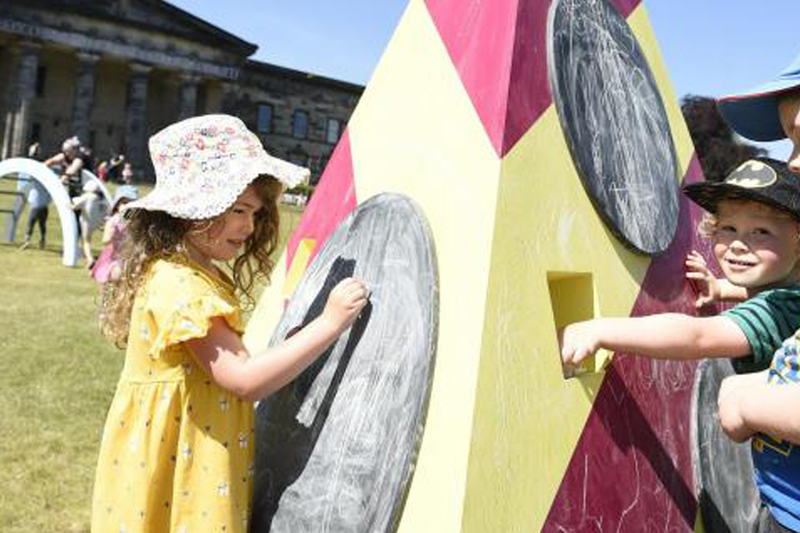 A programme supported by the People’s Postcode Lottery and the national galleries catering partners Heritage Portfolio, will see up to 500 city schoolchildren enjoy free art classes and a hot lunch at the Scottish National Gallery of Modern Art. As part of a project aiming to tackle ‘holiday hunger’, the Art Fuel programme runs for four weeks until 10 August and welcomes around 20 community projects to a new pop-up play area in the grounds of the venue. A free bus service is offered for the community groups attending. Classes led by experienced artists, will run daily before the children and their guardians sit down for lunch and fruit. Afterwards, the children will be invited to play in the area built by East Lothian based company Old School Fabrications which includes colourful climbing frames, a slide, play pods and a balance beam. Siobhan McConnachie, National Galleries of Scotland Head of Education comments; “We want all children to reach their full potential, and art is really important in the development of creativity, as well as in cognitive development of children’s brains”. For more information visit the National Galleries website.